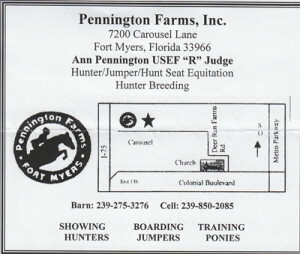 Click on the farm picture below to see Pennington Farms.com or click on the business card below for driving directions. Need a wood tack trunk, or vinyl tack trunk or stall drapes for a coordinated look? 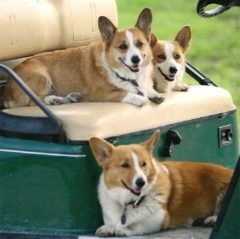 Visit Tack Trunks for the best service and quality of tack boxes!